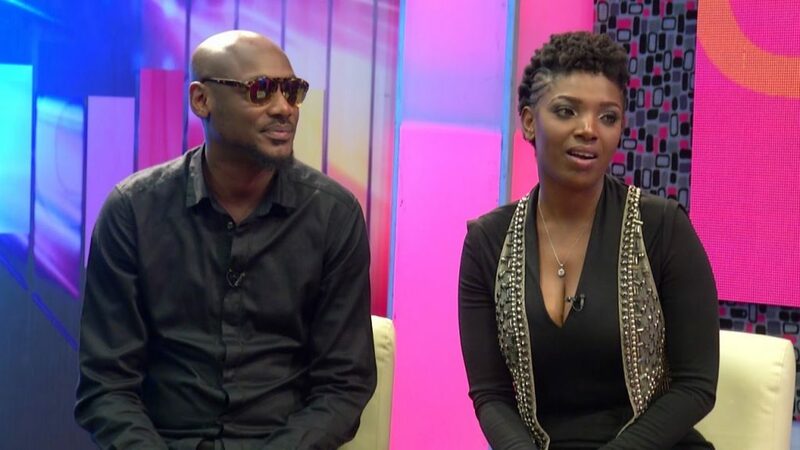 On Monday morning and out of nowhere, heavyweight singer and occasional political activist 2 Face publicly tweeted an obscure apology at wife Annie Idibia. The first tweet was desperate and punctuated with F-Bombs, followed by the ones with half-finished sentences. But the shocking aspect was how it was made public and I have been trying to crack it for some context, all to no avail. I’m sorry to say that i have fucked up so much. i have fucked up as a role model as a father and as a husband. annie im sorry. i know u tried your best. 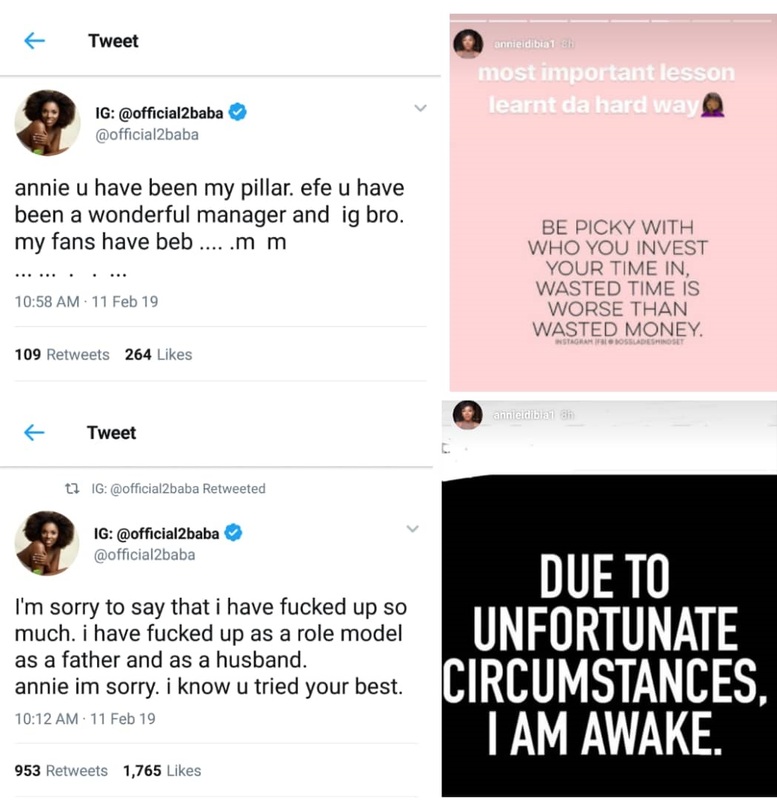 But there’s a wealth of pre-existing issues to draw from, surrounding 2 Face and his marriage to Annie Idibia, whose recent updates on Instagram only makes the 2 Face apology blizzard even more buzzy. That said, here are the three reasons that might have inspired 2 Face’s apologetic tweets. It happens all the time, especially if you are famous. A celebrity’s social media account is hacked and information is spread to mislead the public, or to temporarily distort perception. Remember how some hacker toiled with Funke Akindele’s IMDb’s profile and made us believe she was going to star in the then-upcoming Avengers: Infinity War movie? Yeah, not funny. Other times, nudes are leaked. So, for 2 Face, someone had gained access to his Twitter account and just wants to cause some mischief. Or wants attention. Imagine being Chris Brown for a day, that kind of feeling. It’s only a theory. Let’s move to the next reason. Yes, you are familiar with this unsavoury aspect of 2 Face’s life, his philandering compulsion and status as Father Abraham. Before his marriage to Annie Idibia in 2012 ,who emerged as the chosen one from the trinity of baby mamas and begot him children, there were others in the picture: Pero Adeniyi and Sumbo Ajaba. Sumbo somewhat maintained a low profile, but Pero was in our faces. Daughter of Prince Jide Adeniyi of the Poatson Musical Jamboree fame, Pero’s relationship with 2 Face spans seven years with three children as biological souvenirs. This, perhaps, is the most likely reason for 2 Face’s apology, saying he has failed as a role model and a father. It’s enough to fracture the marriage, ending it. We are praying for Annie in this trying times. Stunt, stunt, stunt. To what end though? The fairly new Coke advert with 2 Face and Annie Idibia is sweet and family-oriented. It’s cute, with their children smiling and contented. They seem to be solid as a couple now, given the tribulations that previously hit their marriage. Which is why a publicity stunt cannot be ruled out from the equation. A well-orchestrated drama to promote an album, a song, a brand product, something. Weaponizing the coalescing crisis that almost drove a wedge between them. It’s sort of sadistic, but brilliant.